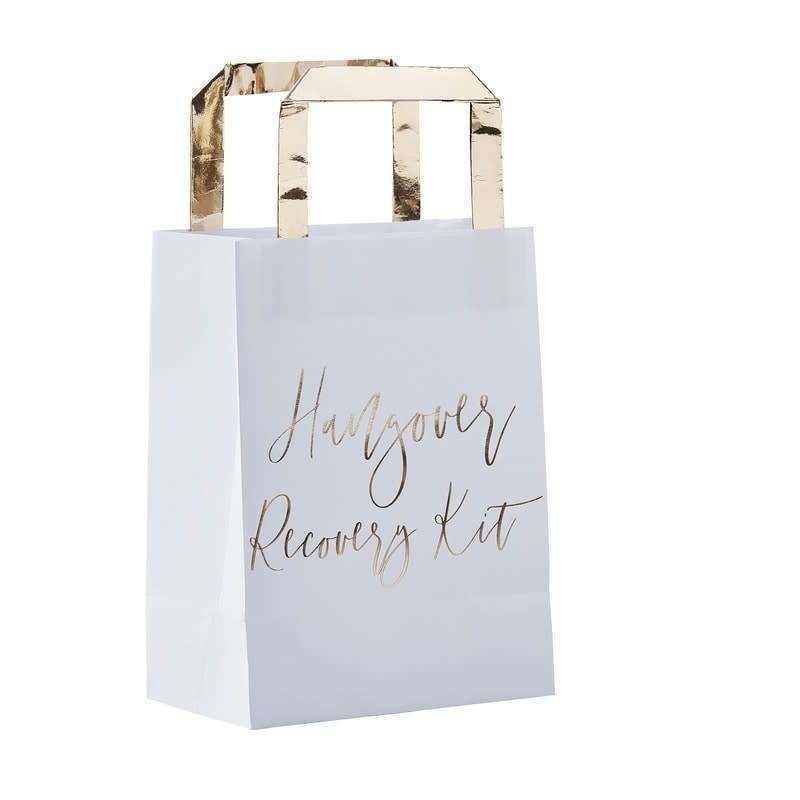 Look after your guests with our fun 'Hangover bags' - they will be thanking you the next day! 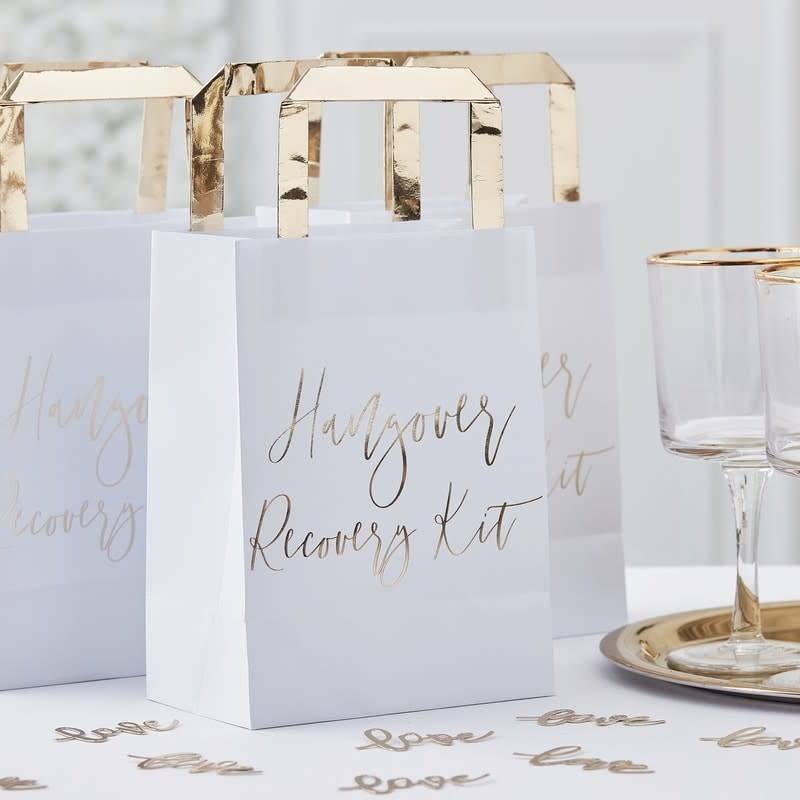 Make sure your guests are prepared for having all the fun at your wedding with our white and gold hangover bags - They will have everyone dancing the night away. Place our hangover bags on a table as the guests are leaving for the final detail to a perfect day - fill the bags with everything you think your guests will need to recover from celebrating with you - hangover bags to the rescue!